PhonicBloom based in Dublin, Ireland has created a new pocket device that is capable of transforming the sounds of our world into melodic ambient soundtrack. Enclosed in a tactile wooden enclosure the Glo meditative sound experience has this week launched via Kickstarter with the aim of raising €38,000 over the next 40 days. “There are four basic soundscapes or “channels”. Each one has a different rhythm and background texture, inspired by one of the elements: Earth, Air, Water and Fire. You can enjoy forests with birds, howling winds, waves of the sea and fantastic space frequencies. 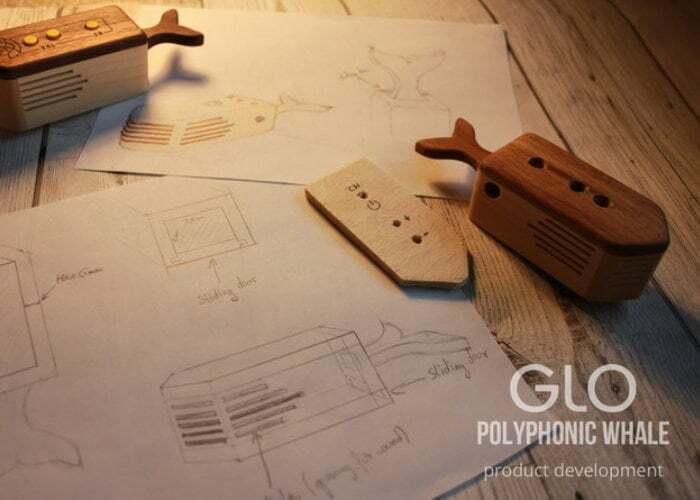 For more information jump over to the official Kickstarter crowdfunding campaign page by following the link below where the Glo Polyphonic Whale is now available to back for €139 or £123 the complete device.